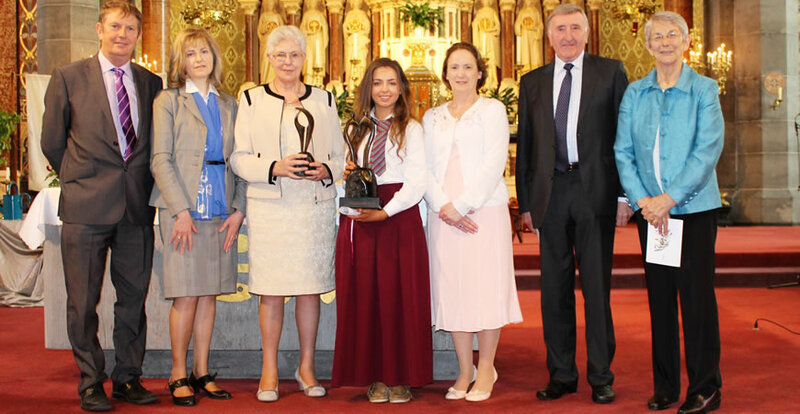 Christine Kenny is pictured receiving the FCJ Companionship Award for 2016. The Companionship Award is an annual Award which is presented to a 6th year student who is chosen by students and staff. They are seen as a worthy companion and personify the qualities that the foundress of the FCJ order, Marie Madeleine d’Houet, named as being central to the living ideals of companionship, courage, confidence, gentleness and compassion.